This is the most recent high-low skirt that we have made. We've done a version of this skirt before but we wanted to do a more extreme version. See the more subtle version here. This skirt came from Goodwill for $4.29. Hooray for good deals! Here is an explanation of what to do when cutting your skirt into a high low. 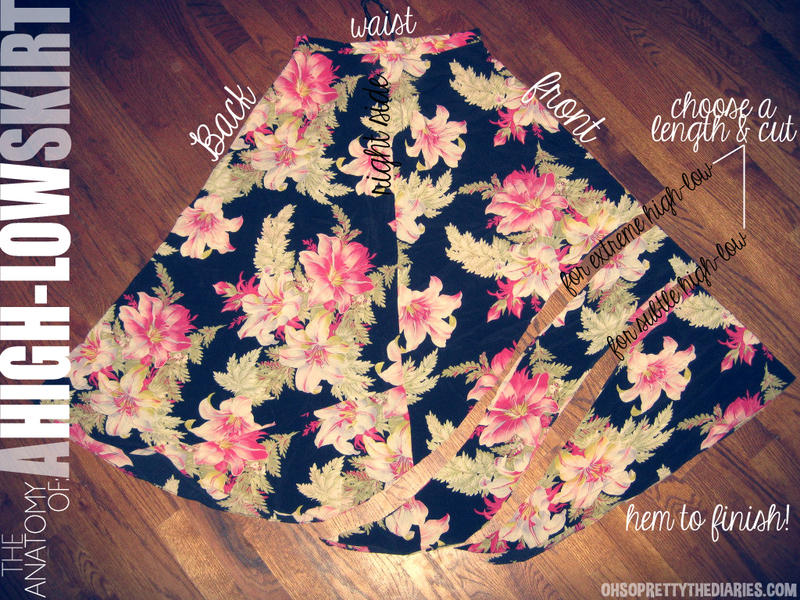 Keep in mind that the skirt in the photo is a maxi dress aka it is longer than it may seem/look. When you finish cutting your skirt in the place you would like, just hem! To see more detailed instructions go here! If you don't want to deal with hemming your skirt, use a skirt that is a knit material. It's pretty simple and pretty hard to mess up. Don't stress about how exact the cut is. If you are nervous about where you are cutting the skirt, cut it a little longer and try it on between cuts. Casey and I just bought 4 more skirt to do this to. We have kind of been obsessed with these skirts all summer long! P.S. Go follow us on Pinterest! When we hit 10,000 followers we will be doing a giveaway! Details to come soon! Wow...I can't believe you made that. What a great idea! And I also can't believe you made that, it looks so perfect! Awesome! Been trying to find a good tutorial for a high/low skirt!